"Take a look in the agenda to check the performances I m playing on"
In March 2017 I was involved in The Pulse, a work in progress by Iris van Peppen that was played at - In de Ruimte, Utrecht. With Joana Borges -dance; Marc A. Nukoop - electr., Ard Kok -e gr. The production was made by 'De Tijd' in Antwerp and the NL-BE tour has taken them to Rotterdam, Brussels, Amsterdam, Groningen, Antwerp, Brugge, Utrecht, Lokeren, Hasselt, Arnhem, Dilbeek, Nona. Together with Florian Richter (music coordinator), Daniel Smit and Jasper Courtens we are creating the music for the dance piece Beestenbended conceptualized and choreographed by John Wooter. 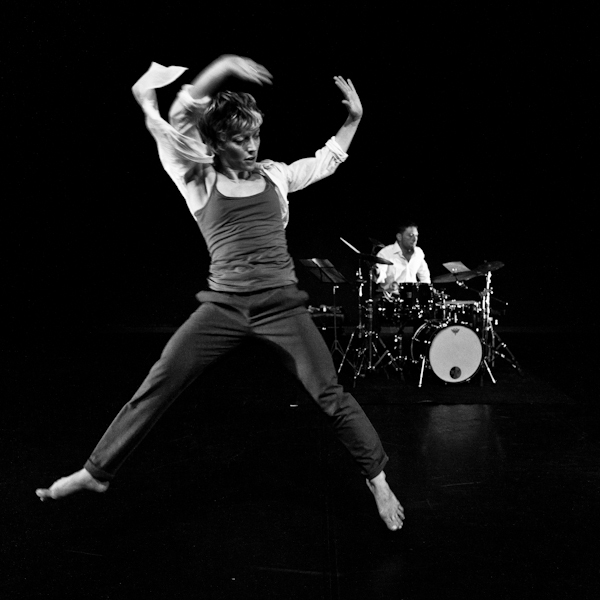 The piece will be perform -with live music- on Dec. 15, 16, 17 & 18, 2015 at the Danstheater in Amsterdam. May 2014 - I have the honor to substitute Alan Purves in a theater piece and so playing with guitar player Niels Brouwer (Boiakih) and Felix Strategier. 44 performances! Garagepoes is the name of the production, from Flint Theater group (Amsterdam). 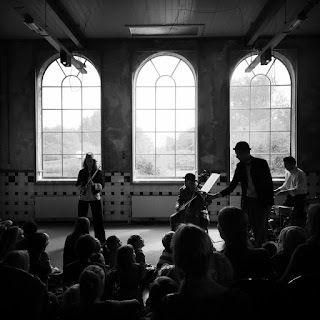 The Ambush Party has been live-performing "Sommige dingen (vallen in het water)", a theater piece produced by Bronx Theater in Bruxelles. Sept. 22nd 2012 was the premiere at Bronx theater; followed by 11 performances in whole Belgium. 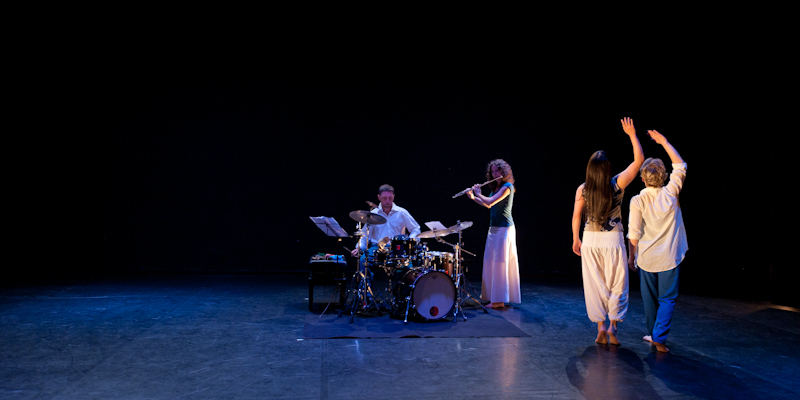 DanSebastian is a special project with Adeline Salles on flute and Makiko Ito and Sylvia Benett dancing. It is about J.S. Bach's music and music & dance improvisation. Commissioned by "Passe ton Bach d'abord Fest", has been played twice in Toulouse, June 2012. Mapi Quintana, Jacobo de Miguel and me, we have worked the music of the spanish reposition of "The seagull" by Chejov. This has been premiered in the Jovellanos Theater of Gijon (Spain) on Jan. 14th, 2011, by Freedonia producciones theater group. The dance piece "bounce me too - efecto rebote" by Valeria Primost with music of mine, was premiered in oct. 2010 at the Festival Buenos Aires Danza, Argentina. Together with Baris Arturk (Tk) we have composed and performed live the music for "BeHold", a concept and choreography of Jack Gallager and Tan Temel, premiere at Cemal Resit Rey Concert Hall, Istambul & Theater Bellevue, Amsterdam, in Sept. and Oct. 2010 respectively. I ve composed and recorded the music for the piece "FEVER-Bounce me" choreographed by Valeria Primost for MIKS Dance Theatre Company(UK). FEVER premiered at Laban Theatre (London) on Nov 2009, and played since then on many venues in England and the rest of Europe. 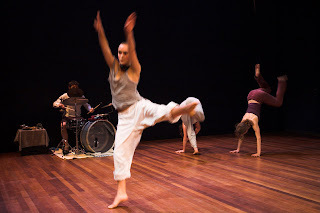 Together with Valeria Primost (dancer and choreographer), we started researching into interdisciplinary improvisation in 2003 and we gathered a group of musicians and dancers called "Zap Collective", with whom we performed at Muidepoort Theather, Overtoon 301, a.o. One year later, we co-founded “The Meeting Point”, a platform dedicated to the exploration of interdisciplinary improvisation. This lab was named Monday Match later on and run till June 2018. The Meeting Point grew as an international platform dedicate to create and support interdisciplinary work based on improvisation. Thanks to this activities, I've been very lucky to collaborate with many many artists dedicated to research and perform on improvisation. Among them Julian Hamilton, Michael Schumacher, Paul Estabrook, Marisa Grande, David Hernandez, Sylvain Meret, Lily Kiara, Eileen Stanley, Katie Duck, Vincent Cacialano, among others. Many people got inspired by our work and they gather new Meeting points in other cities: there was a steady laboratory in Helsinsky and people organizing events in Barcelona and Milan. 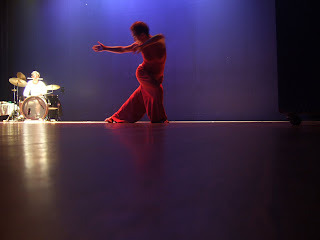 Valeria created and directed “the mOving point”, a company of interdisciplinary instant composed pieces. During 2006 and 2007 We performed at Van Gogh Museum, Artacts Festival (Austria), Kastel Groenevel, Muiderpoort Theater, a.o. Together with "The Meeting Point" and "the mOving point company", we have performed in festivals, theatres and venues in The Netherlands, Austria, Germany, Uruguay, Venezuela and Argentina. In 2004 I did the music score, direction and performing of “Think of a wish” by Valeria Primost. 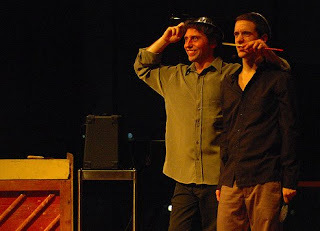 In 1997 I composed together with Oscar Bertea, the music for “Bichos”, choreographed by Sintia Ranieri. In workshops with dancers Alexandra Beller, Nina Wollony, Jack Gallagher, Lily Kiara, Andre Gingras, Mc Pie, Marisa Grande, Todd Williams, Angelique Willkie, Rosie Wooff, among others. In performances with Bodies Anonymous, Satya Performance Company, Valeria Primost, Marisa Grande, Marcela Giestche, Mc Pie, Wonderland, Galit Shabi, among others. I started working with dancers in 1996, when I became accompany-musician at the National Dance School "María Ruanova" in Buenos Aires, Argentina (IUNA). I played there until I moved to Amsterdam, in 2001. During those years, together with Marcos "Pochi Fernandez" and his band "El Angel" we where trying to create performances including contemporary dance during our concerts. Already in Amsterdam and up to now, I've played for dance lessons at Henny Jurriens Fundation and at the Theater School.